Home—Latest News—Uncategorized—Sydney Airport proud partner of Kids Teaching Kids 2018! Sydney Airport proud partner of Kids Teaching Kids 2018! Sydney Airport has been a key sponsor of the Kids Teaching Kids program in New South Wales since 2016 and as a business, we are continually exploring new and innovative initiatives that support emerging leaders in their fields. As a peer-to-peer education program, Kids Teaching Kids provides a unique and interesting way for students to learn and educate each other about key environmental and sustainability problems and solutions. Other aviation industry sustainability initiatives dealing with contemporary environmental issues such as energy use reduction and climate change. 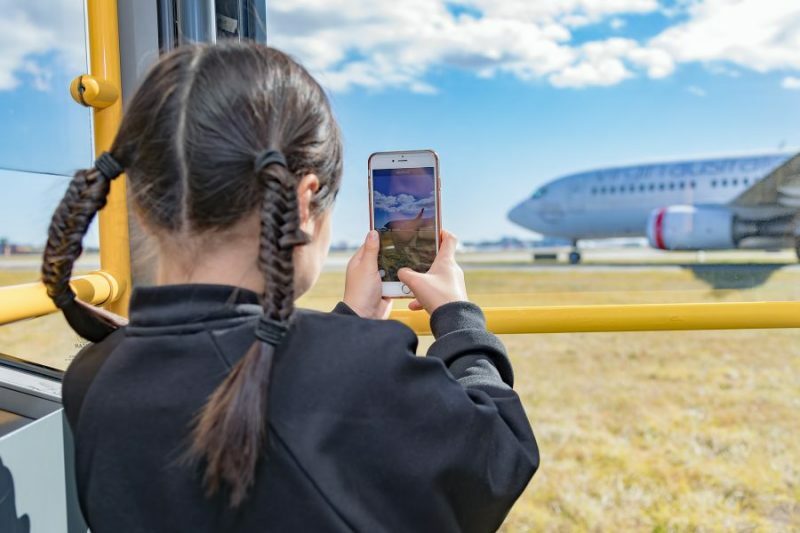 Through the mentoring and support offered by Sydney Airport, Kids Teaching Kids students can see firsthand that environmental protection a key responsibility and through this partnership, they can begin to understand their current, (and future!) role in this process. Furthering on from this real-world learning connection is the unique opportunity for New South Wales schools to visit the airport and experience a behind the scenes view of our operational environment. Students are treated to a private tour of the airfield with a member of the environment team, insights into some of the sustainability measures in place as well as an up-close viewing of departing and landing aircraft. There will be 6 excursions run in 2018, with limited space available. Further details to be released in Term 2! Make sure you also speak with the Kids Teaching Kids education team about key sustainability projects taking place at Sydney Airport in 2018 and how these could inform your student’s workshops!